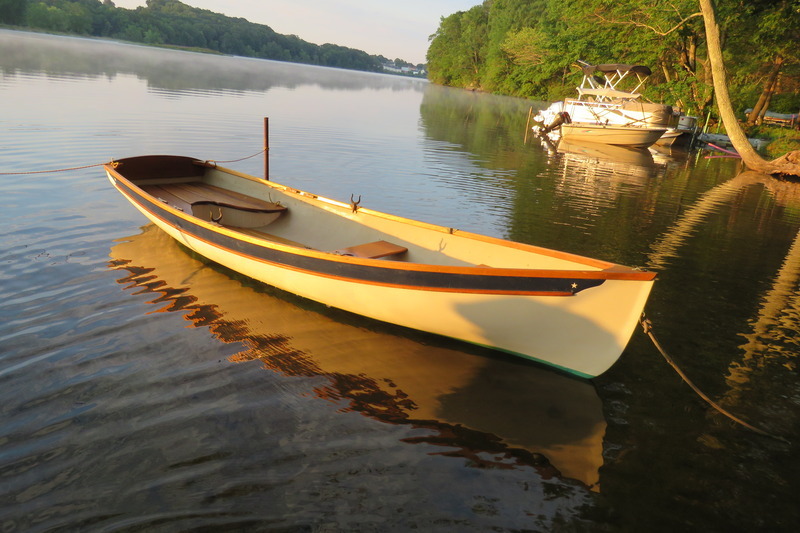 As much as I loved my Jarvis Newman Classic my real fave was this 20' Ellis skiff. She was the "plug" or the original hull used for the pattern of all the others.This one had wooden washboards and a wooden foredeck. It came with a 90 Johnson outboard,but I didn't like the hydraulic pump mounted on the top of the outboard motor.Not very kind to the crankshaft of the Johnson. I spent $6800 for a new Volvo-Penta 135hp 4 cyl. Chevy (Nova option and used in the Goody's Dash cars).2 bbl. Holley 500 carb and 4" pistons and the "SX" outdrive w/remote tilt. Put in a whole new interior as in deck,flotation and console(dog house). 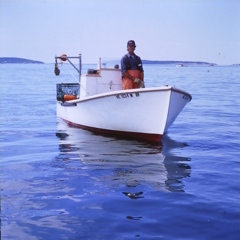 This boat won the '99 Friendship Lobster Boat Races in her class with a speed of 40 knots.It handled so well...great balance and I got to hook up traditional hydraulics and water pump for the deck hose and lobster barrel. I had a ball with this boat. 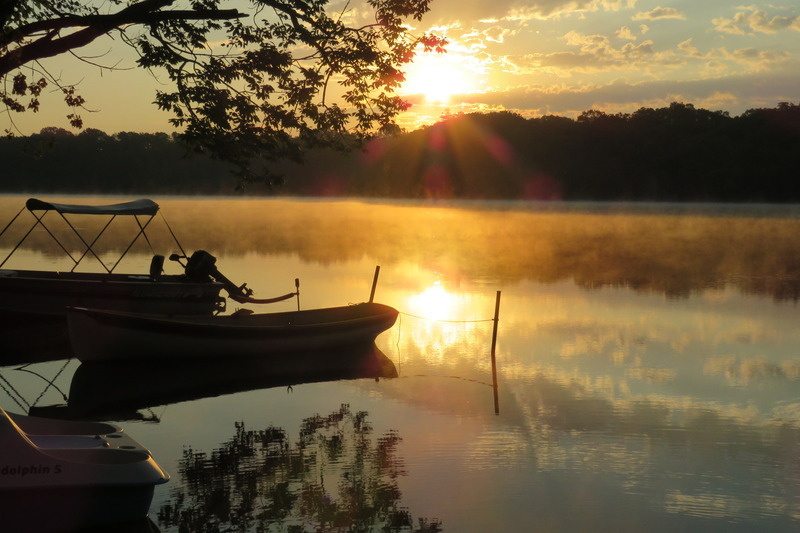 Isn't it amazing how certain boats become favorites with a lifetime of memories? I can think of three, none of which was mine. I can recall others which were pigs. A friend of mine had a canoe that was the mold or form for making them out of fiberglass. It was really sturdy & was great for the lakes there. Not the same I know. The plugs are usually heavier built than the copies. This was a yacht my Dad owned in the 1970s. 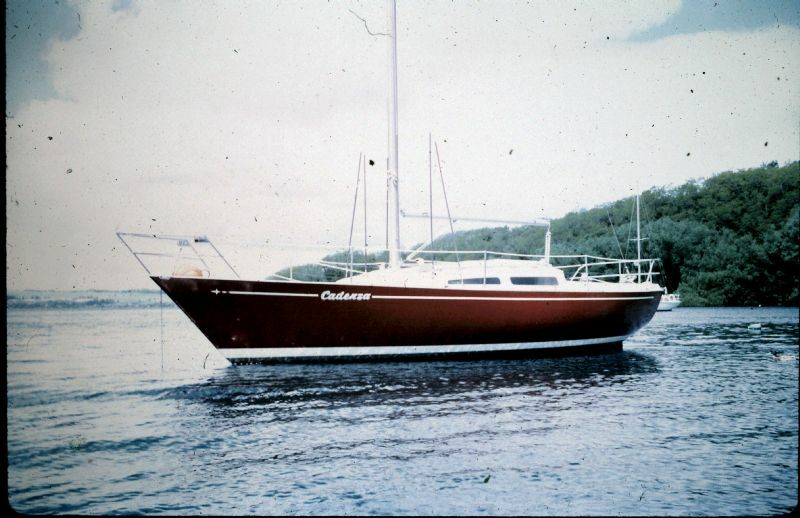 Cadenza was also a mold plug, and a good solid boat. It was a Paul Whitting 36 design...sadly Paul was lost at sea in 1980. Years after my Dad had sold her...life for Cadenza also ended at sea after hitting a reef about 100 miles South of here. That's a proud looking vessel,Paul. I've never owned a boat, but I've crewed quite a few small catamarans. Favourite by far was a Tornado 20' owned by a school mate's Dad. Even with three skinny teens on board, it just flew across the harbour, flying a hull all the way to Mandorah and back. Still good fun. My wife and I have a 'sit-on-top' kayak each. They have large hatch covers to stow food, sleeping bag, dry clothes etc in the hull. We go camping over night up nearby (within 250kms) rivers. 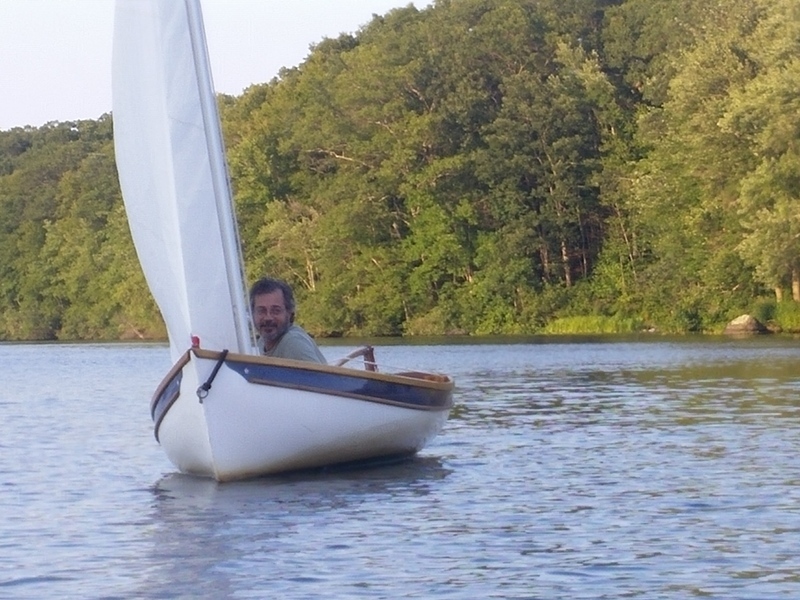 We have a number of boats up at the family’s summer place, but only one of them is mine...a 1969 AMF Alcort Sunfish, he boat I learned to sail in 50+ years ago. She’d been left to die in the weeds, and I rescued and restored her a couple of years ago. 20 knots easy, maybe even 25-30 knots with a really strong wind. Had to be careful when out on the trapeze. If the bow suddenly dug in to the chop you went flying around the front and invariably got minor injuries. Wow, memory lane! My first boat was a Sunfish when I was 14 years old. Can't tell you how many times I turned it turtle, but I got real good at standing on the dagger board to get it back upright. It was bright yellow with crazing on the deck from hail damage. I've owned many other sailboats in my life, but there's something about the simple joy of a gaff rig. 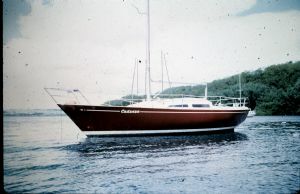 My 1973 Gulf Coast 23 was a great boat too, despite being the proverbial hole in the water that you throw money into. I like that saying. 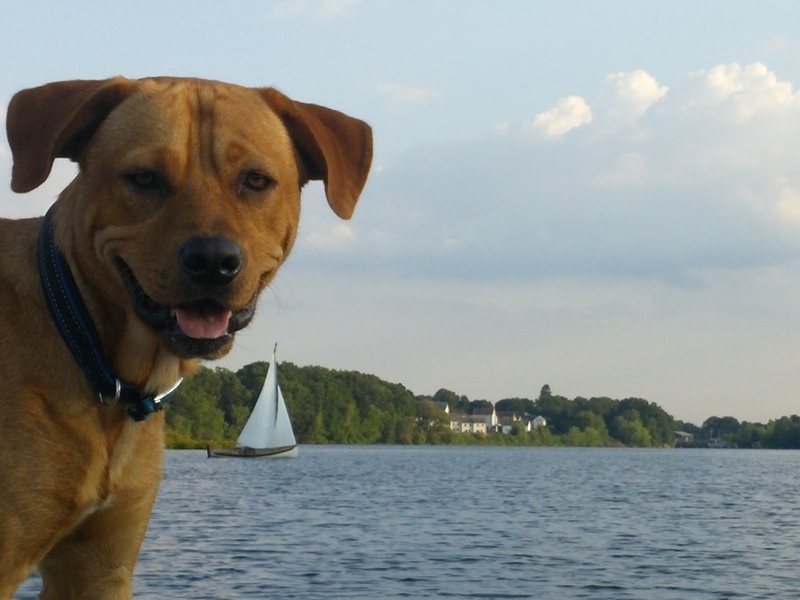 They also say the two happiest days of owning a boat are the day you buy it and the day you sell it. 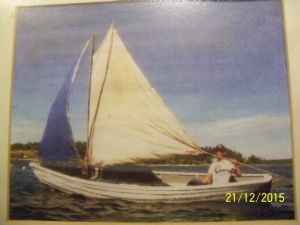 only boat I've ever owned was a 15ft wayfarer sailing dinghy we bought for my wife to teach me to sail in. 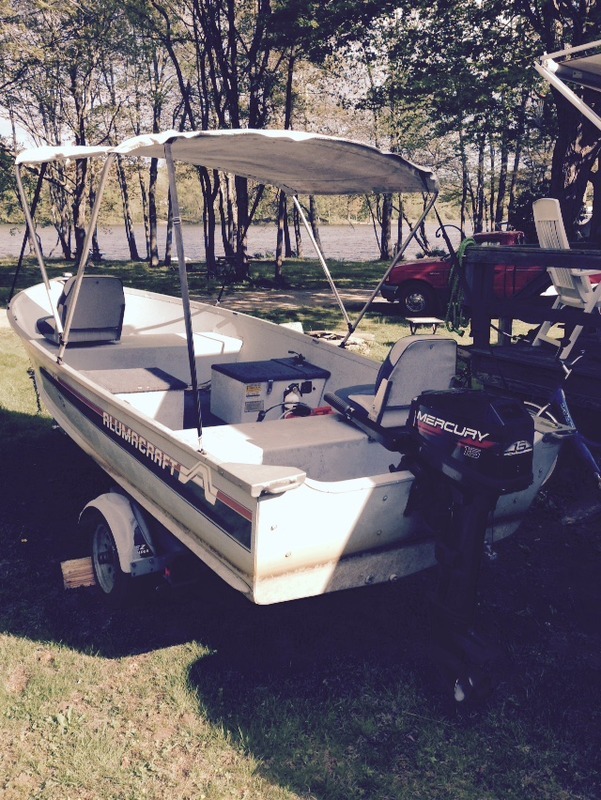 Great fun boat but as my wife's mobility took a knock we had to sell it as it was too much for one person to handle. I have already been told that the next boat I buy will be a narrowboat (canal barge) when I retire. 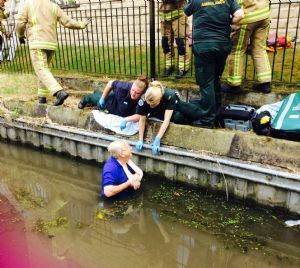 > I have already been told that the next boat I buy will be a narrowboat (canal barge) when I retire. My father in law thought so too Chris ...... until he fell off the boat!! In typical ‘kids of today’ fashion, I had it all streamed live to me via FaceTime by my daughter who was more intent on filming grandad rather than helping grandad. I put in a dagger board and mast into Gramp's old dory.Sail is a cut down mutton and jib is blue tarp/duct tape technology. Spruce and maple (mast and sprit) came from the back yard. That must have been a hoot, Steve, and I bet you learned a lot about sailboats in the process too. I did,Wes.I learned that rowboats don't make good sailboats. Some are better than others....this one, a 12' Whitehall that I picked up about 10 years ago in Newport, RI does pretty well off the wind, but it only has a teeny swing-down centerboard made of plexiglass so it doesn't point up all that well and it takes some practice to learn to tack it well in any wind. Pretty thing though..and it's fun for the pond near our camper. First pic is one I took - the others are pics of me sailing it that were taken by my friend, Arkadiusz. That's his dog, Bruno. 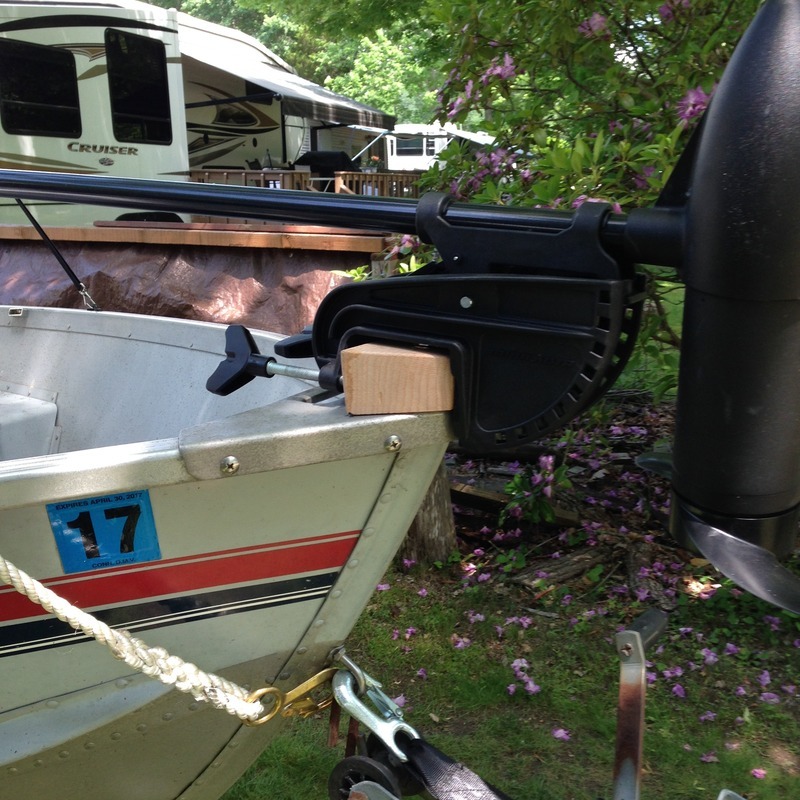 Here it is again, in front of my skiff - a 14' Alumacraft Lunker 14 - deep vee, with a 15 horse Mercury on it. That's the one I've been using for bass fishing for the last few years. 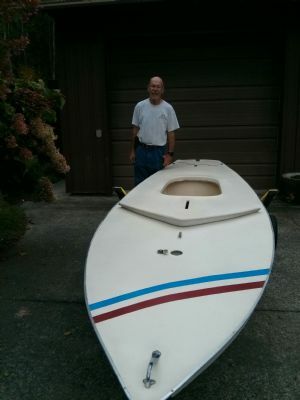 Great little skiff - plenty of freeboard so if I wanted, I could do some salt water fishing with it as well. 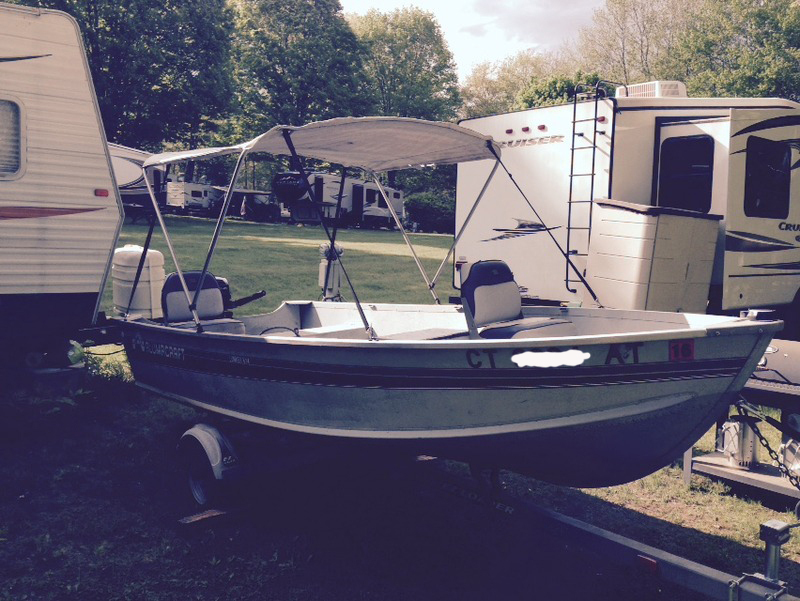 But since I bought it 3 years back, it's been kept at our camper so it's only been used in Aspinook pond. Perfect boat for that water though. They're gorgeous! I'd love to have a 15 footer with the same basic molds as my 12' ...maybe in a kevlar or strip-built cedar hull, that'd be slicker than otter snot.